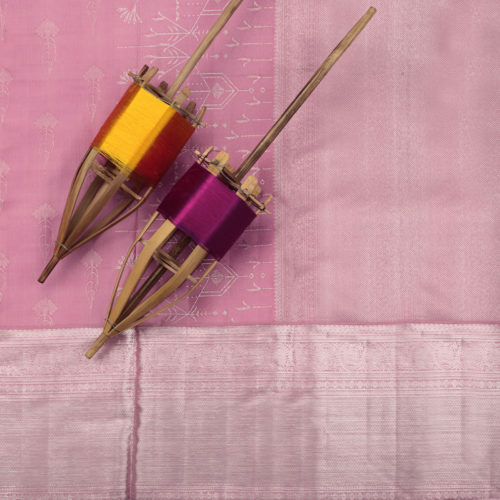 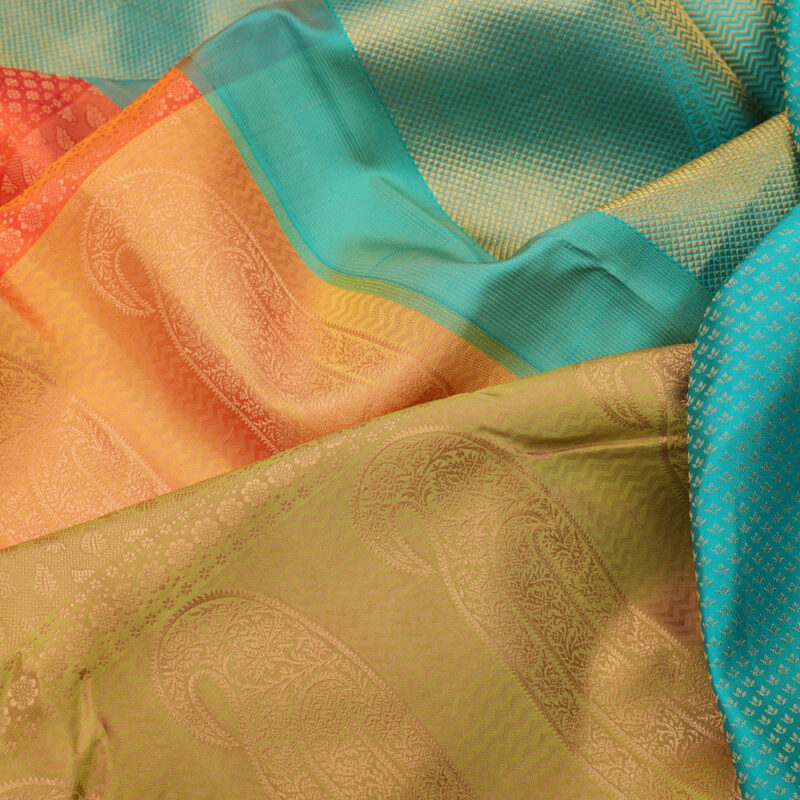 The body of the silk saree has three different shades. 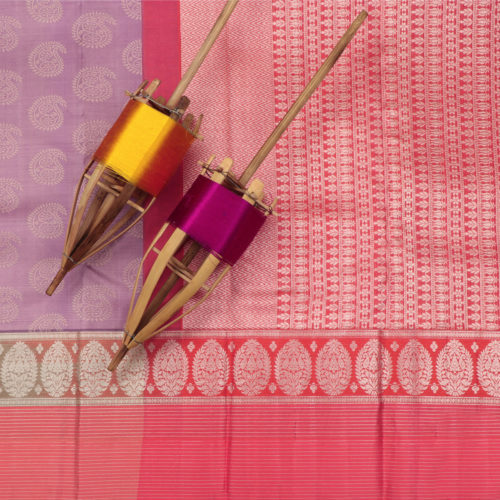 It is a combination of pastel moss-green, golden-yellow and peachy-pink which acts as the base for intricate patterned rows of mangoes. 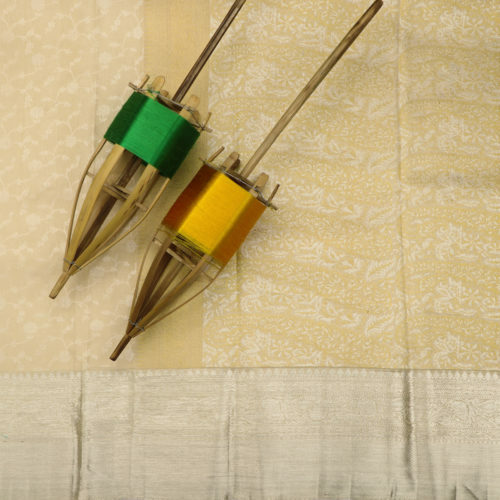 The body is surrounded by a thin golden zari which is outlined by a cadet-blue selvedge. 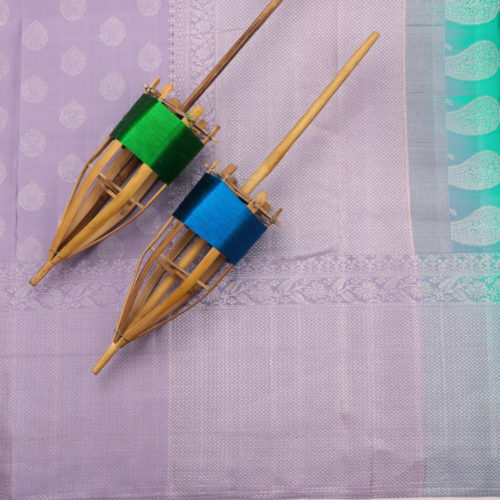 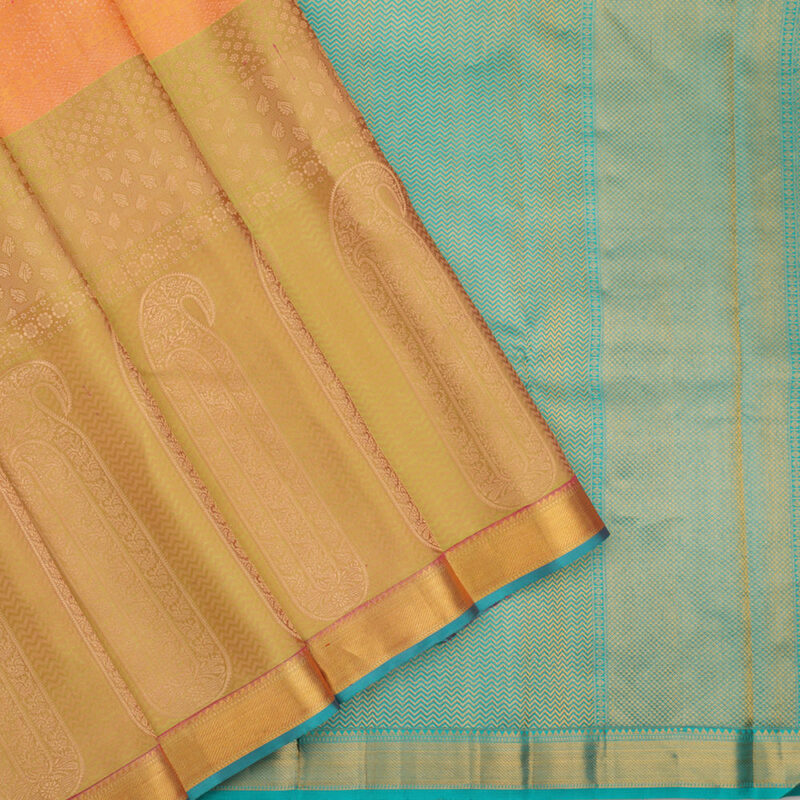 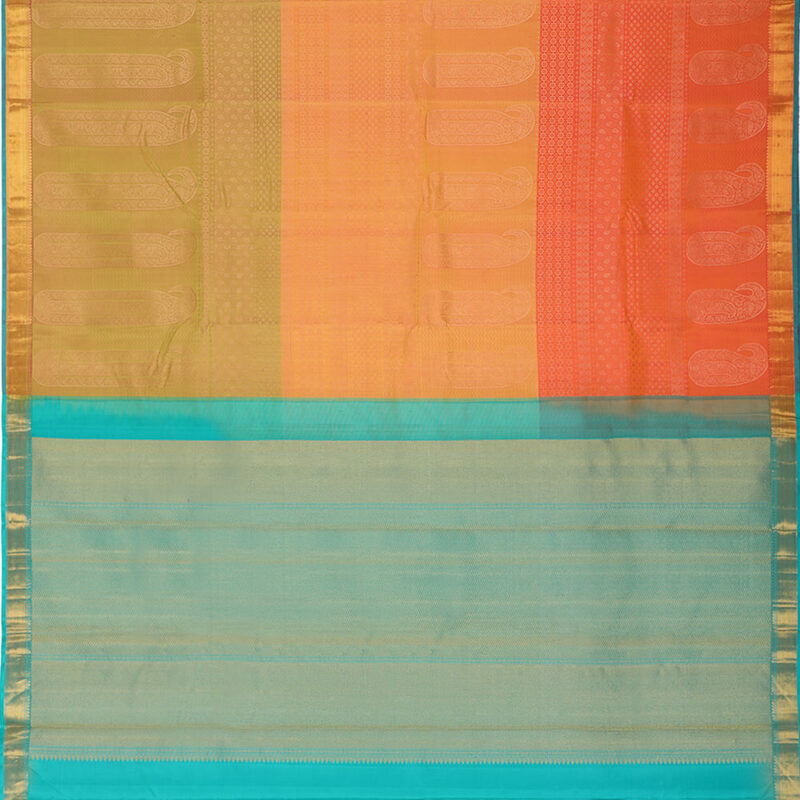 The turquoise-blue pallu is filled with rich zari works. 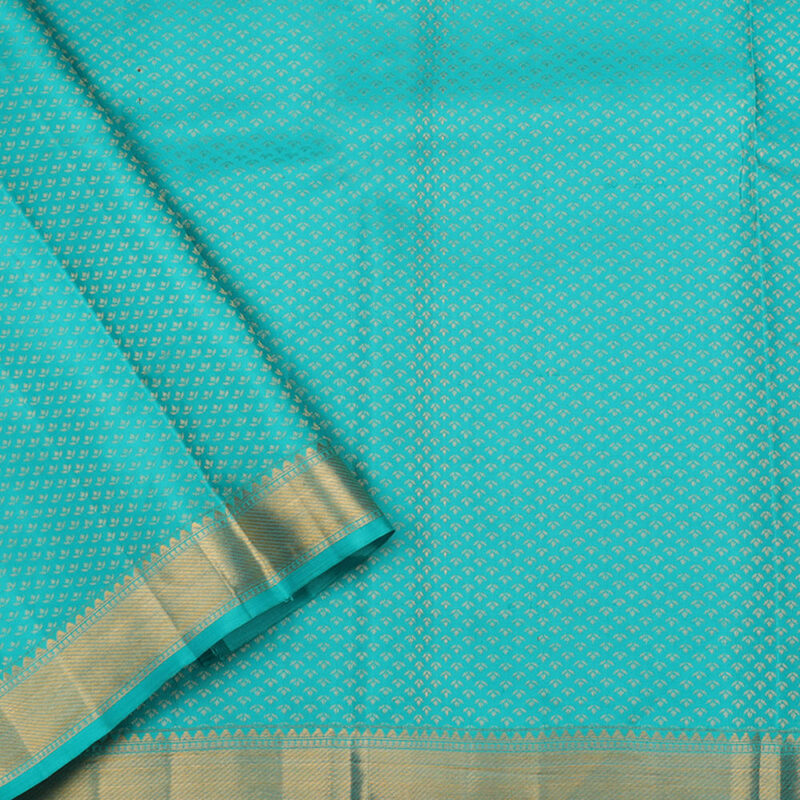 A turquoise-blue jacquard blouse accompanies the saree. 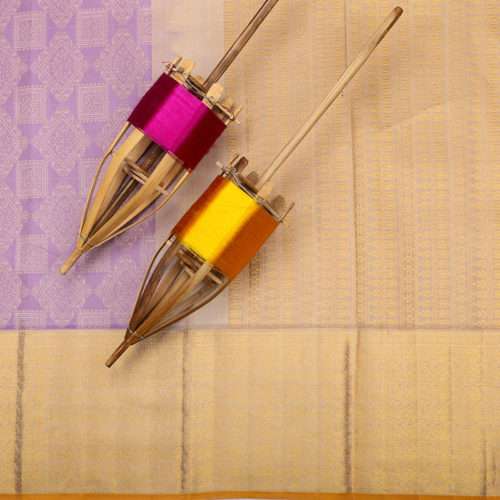 Purchase this product now and earn 13150 Points!